2 Subscribers onlyWhat now for Iran's produce sector? Located in the province of Santo Domingo de los Tsachilas, Frugalp has been producing pineapples for the local market for almost a decade. As its exports have grown it has moved into exports – first to regional markets like Chile and Argentina and more recently to Europe, the US and Asia. “Ten years ago we were a medium-sized company with 200 ha of production focused on the local market. After a decade of hard work we have 1,200 ha of production, employ 450 people and have the infrastructure to process 45 containers per week,” says managing director Galo Pérez. Throughout that period, the company has worked tirelessly to improve the quality, taste and appearance of its pineapples, ensuring it has the necessary certifications to supply markets worldwide. At the same time, increased mechanisation and improved planning and management processes has brought about a steady increase in productivity and reduction in operating costs that has put Frugalp on a more competitive footing and well equipped to supply even the most demanding markets. Frugalp’s experience reflects the wider evolution of Ecuador’s pineapple industry, which has undergone a resurgence after being squeezed out of its main export market, the US, by Costa Rica some years ago. What has emerged is a more dynamic industry that can hold its own in today’s competitive global arena. “Today we have more qualified workers, and companies have made investments to mechanise harvesting and make production more sustainable,” says Pérez. Exporters are now setting their sights on Asia. 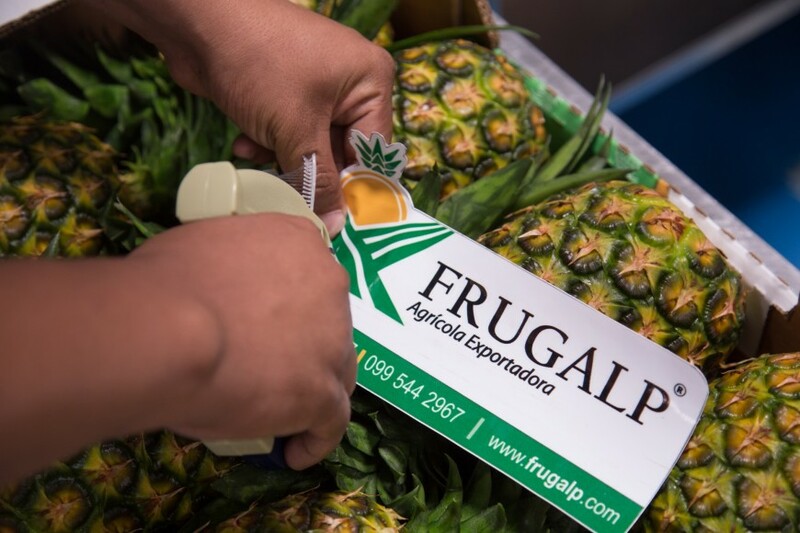 Pineapples are one of the products subject to negotiations between the Ecuadorean government and Chinese plant health authorities with a view to securing an import protocol in the near future. In spite of this optimism, he acknowledges that Ecuador faces some considerable challenges, chief among them the need to raise productivity levels. This partly involves more work being done to develop new varieties with higher yields that are better adapted to local growing conditions. On the plus side, Ecuador’s long-established banana industry means the country already has the logistics and cold chain infrastructure in place to be able to accommodate exports of other perishable products. Meanwhile, Frugalp’s growth plans are set to gather pace in 2019. The company is forming a new commercial team that will be based in the Southern Cone and in Europe, while at home, it is upgrading its packhouse with extra sorting and coldstorage capacity, and a service area for workers that includes a dining room and changing facilities.